The individuals that led this highly successful production line addition for our confidential client were also recipients of the SSOE Founder’s Award, highlighted below. These individuals are Kirk Marchetto, Mike Pappas, and Dominic Ruczko. The client wanted to install a new production line to add capacity to a system currently operating. SSOE provided complete EPCM project delivery for the line—raw ingredients to finished warehouse product—and repurposed existing warehouse areas. The 13-month project schedule was tight to begin with, but SSOE successfully completed it in 10 months. The project team kept the construction budget intact and documented savings totaling nearly the entire value of the project. 1) Enhanced coordination through Virtual Design and Construction. 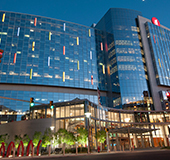 The dominant strategy was to use Virtual Design and Construction (VDC), a collaborative approach that pulled critical path activities forward, allowing maximum time for process design. To allow activities to occur concurrently, the project team mapped out a strategically phased construction plan. 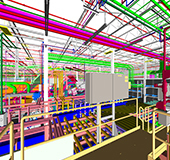 By employing prequalified contractors with the ability to accept, add detail to, and trade a 3D model back and forth, SSOE set the stage for cohesive construction. With a 3D model as the delivery tool, the team achieved a higher degree of coordination and project delivery integration; this also eliminated contractor rework, which further accelerated progress. Using VDC enabled the team to successfully execute the project in just 10 months, while maintaining the same budget allocated for a 13-month schedule. Gaining three months of production time generated significant revenue and profit for the client. 2) Greater efficiency through modularization and prefabrication. Modularizing the liquid process elements needed for the project and building them in fabrication shops was yet another way SSOE intentionally added measurable value. By working in a controlled environment, the team turned out a higher quality product 30% faster, 30% more cost effectively, and 80% safer when compared to traditional construction methods. While the pre-fabrication was taking place in the shop, progress continued on the construction of the facility. 3) Saving time through VDC Steel. SSOE performed the steel detailing in tandem with bidding the structural steel work. This meant that SSOE could provide the contractor with fabrication drawings instead of waiting for the contractor to detail them and submit them for approval. VDC Steel was crucial in allowing the critical path steel structure to be completed three weeks faster. 4) Smooth production continuity through commissioning / vertical start-up. SSOE’s diligent planning and tenacious development of the commissioning and start-up phase was a key element in achieving an effective vertical start-up. The plant was able to take ownership of line operations sooner and exceed the production goals, leading to greater revenue for the client. 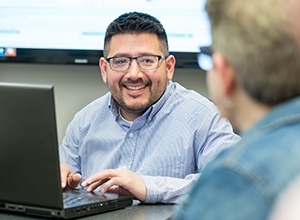 Another major feat during this phase was planning, scheduling, and making needed adjustments associated with the 23 equipment vendors that were onsite for equipment commissioning and start-up. Faster, better, and cheaper. SSOE raises the bar. Quality, Client Service, and Entrepreneurship. 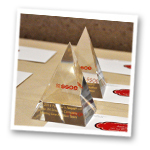 The SSOE Founder’s Award recognizes exceptional performance. 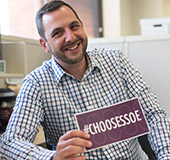 SSOE was founded by Al Samborn on the principles of quality, client service, and entrepreneurship. In order to recognize, reward, and reinforce exemplary execution of these core principles, we established the Alfred H. Samborn Founder’s Award. 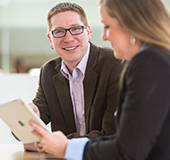 Delivering exceptional value by providing great client service. This typically results in saving the client time, trouble, and money. Supporting growth in SSOE’s strategic markets. 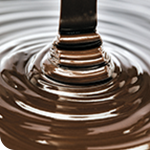 Implementing innovation that leads to improved processes and quality. Various sources within the firm can submit nominations; the CEO, Chairman of the Board, and outside Directors make the final selection. 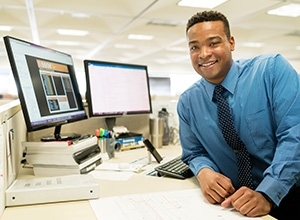 Want more information on SSOE’s VDC services? Click here to check out our VDC Blog. To read more features from SSOE Field Reports, our recent mailer highlighting activity on all levels at SSOE Group, visit www.ssoe.com/spring2015.